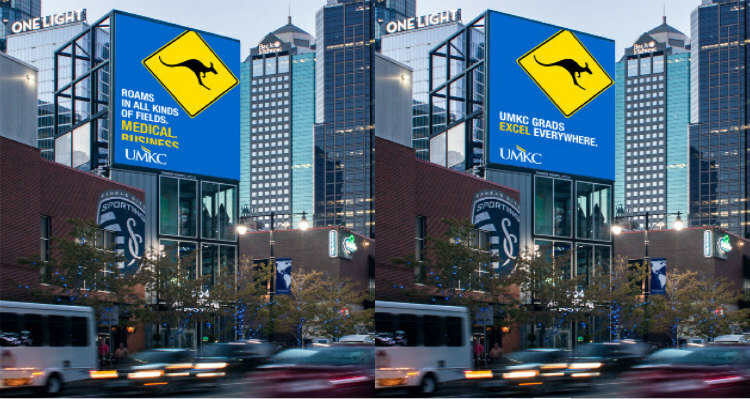 UMKC launched a new marketing campaign this week that, quite literally, should have you seeing UMKC Roos everywhere. 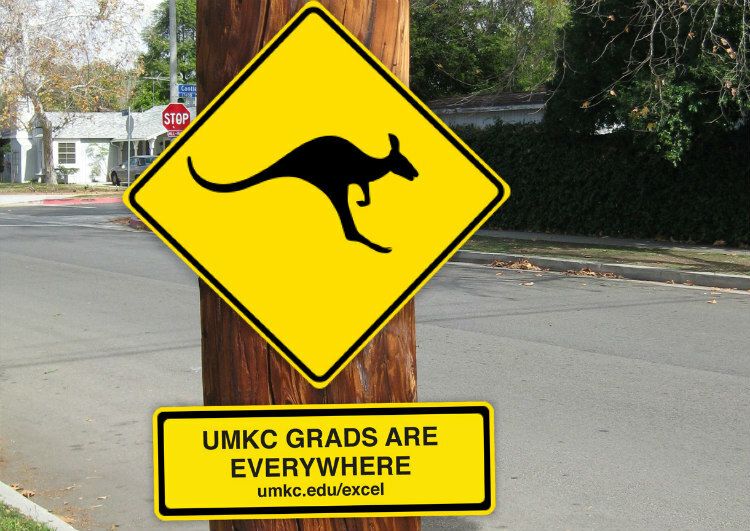 The campaign's essential idea builds off something we Roos already know - UMKC grads are everywhere. Our alums are some 57,000 strong in Kansas City. We have tens of thousands more people who benefit from our community engagement work, who donate to our programs, who serve on boards, who believe in our mission as an urban, public research university. 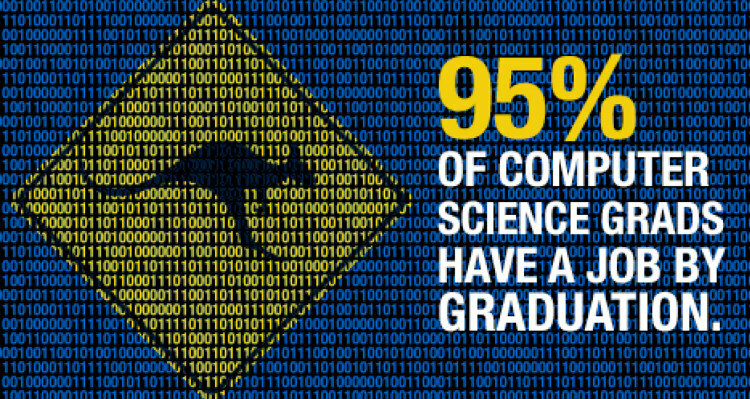 UMKC makes a huge impact on the leadership, workforce and culture of our great metro area. So we decided to create a new way to tell that story. The campaign is the collaboration of the UMKC Division of Strategic Marketing and Communications and Bernstein-Rein, one of Kansas City's leading advertising firms. The campaign is built around simple but indelible elements. The UMKC gold and blue. Our distinctive kangaroo mascot. 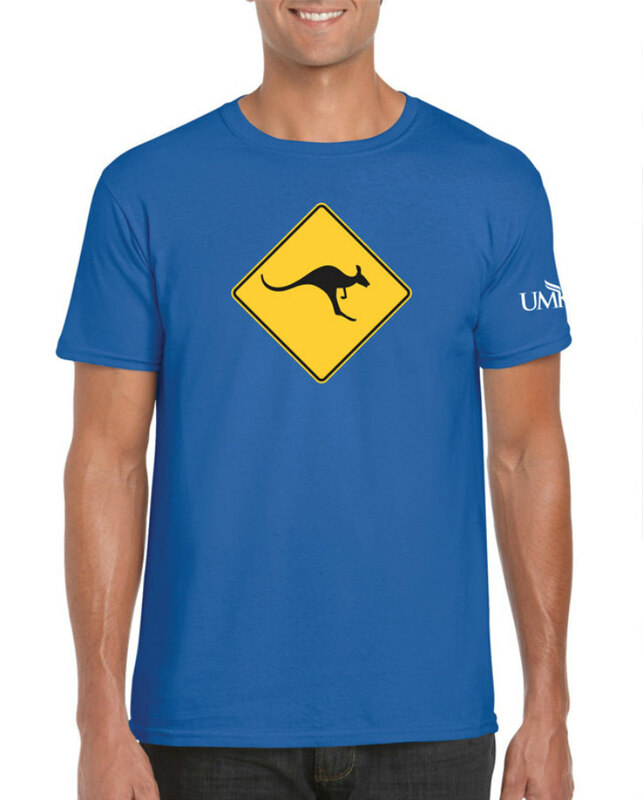 The central image - a powerful kangaroo silhouetted against a gold background - is reminiscent of the deer crossing signs you see in Missouri and Kansas. 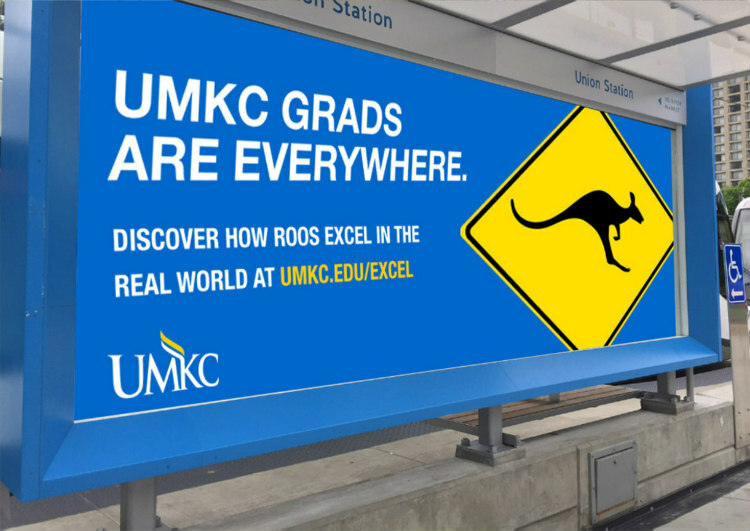 The idea is that anytime you see one of our signs, you'll remember that UMKC grads truly are everywhere - they could be your pharmacist, your accountant, the director of the museum you're visiting or a musician in the performance you're attending. Our campaign is built around two central overarching messages. Yes, our UMKC grads are everywhere. But more than that - they excel everywhere. Over time, our campaign will also communicate some of the key ways UMKC provides a great return on investment for our community. And we'll highlight the many successful and varied academic programs that have provided the foundation for our students to go out and change the world. Billboards. Downtown streetcar stops. Facebook, Instagram and Twitter. Online digital ads and search. Wild postings of our signs in neighborhoods across KC. Car decals and T-shirts. These are just a few of the places you can see our campaign all across the greater Kansas City metro, and even all the way to Wichita and Topeka. Downtown KC. You'll see it on the streetcar shelters lining Main Street and on huge digital billboards in the Power and Light District. On major interstates. Keep your eye out for billboards on I-35 northbound on the Kansas side as you near downtown, I-70 westbound as you drive from Independence and I-29 crossing the river. Westport, Crossroads and Midtown neighborhoods and more. You'll find UMKC signs sprinkled throughout these areas where may least expect it. Tell your story with hashtag #RoosEverywhere about how UMKC positively impacted your life. Tell a prospective student about the campaign. 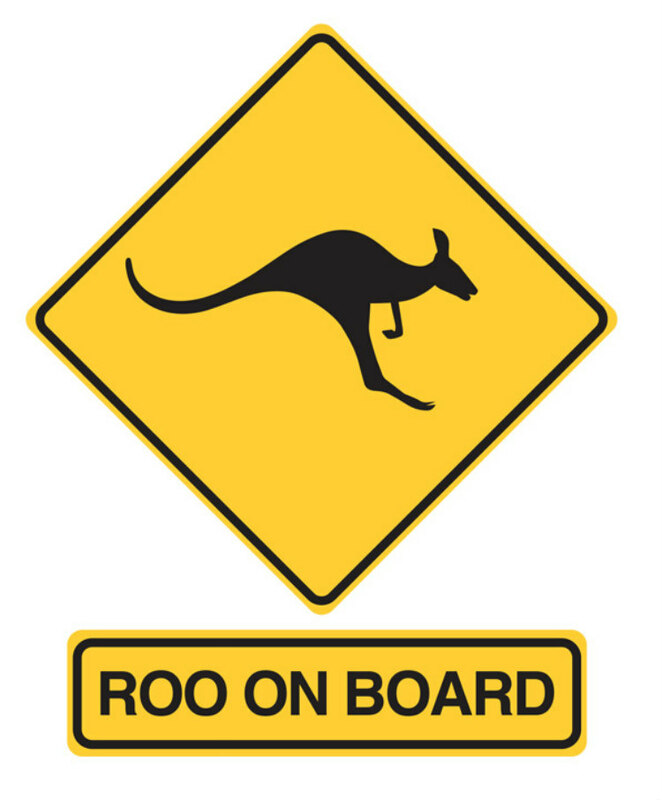 Take a selfie with one of our kangaroo signs and post it to social with #RoosEverywhere. Like and retweet other #RoosEverywhere stories. See someone else sharing their story? Send it to our UMKC social accounts - Facebook, Twitter and Instagram - and we'll feature them in future social media posts or stories. Donate to fund scholarships for new Roos. Any and all are great ways to support UMKC. Please send them to Anne Hartung Spenner, who leads the UMKC marketing and communications team, at spennera@umkc.edu or call 816-235-1585. We'd love to hear from you. Go Roos!